Guitar Hero came from obscurity to be one of gamingÃƒÆ’Ã‚Â¢ÃƒÂ¢”Å¡Ã‚Â¬ÃƒÂ¢”Å¾Ã‚Â¢s bright spots in 2005, combining rhythm-based gameplay, an impressive list of rock songs and an intuitive guitar-shaped controller. 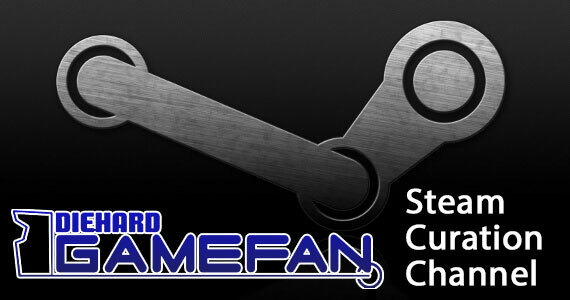 The result was a phenomenon which crossed normal gaming barriers, allowing non-gamers and hardcores alike to enjoy the game. The sequel, Guitar Hero 2, is not afforded the luxury of anonymity that the original had, instead being the focus of hype and promotion as a marquee game release for Playstation 2 in its final holiday season of prominence. Does the sequel retain the fun and charm of the original? LetÃƒÆ’Ã‚Â¢ÃƒÂ¢”Å¡Ã‚Â¬ÃƒÂ¢”Å¾Ã‚Â¢s find out. 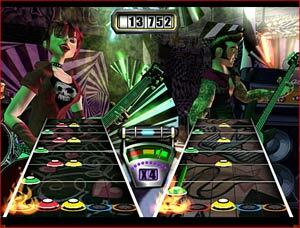 Guitar Hero 2 is a rhythm game, using a pattern of repeating colored shapes to represent as much of the guitar and melody of the song as possible. The Easy mode uses only 3 notes, the Normal Mode uses 4, and the 2 expert levels use all 5 buttons. The songs are broken into 5-song venue levels, with four songs selectable from the start, and the fifth unlocked via an ÃƒÆ’Ã‚Â¢ÃƒÂ¢”Å¡Ã‚Â¬Ãƒ…”encoreÃƒÆ’Ã‚Â¢ÃƒÂ¢”Å¡Ã‚Â¬Ãƒâ€šÃ‚Â of the third song completed (only three out of the original four need to be completed to move onto the next level). Guitar Hero 2 retains all of the options and settings from the first game, and adds a bit more to the party. Of course there is a complete lineup of new songs, with 55 total new songs, 40 of which are big hit songs from known bands. The new Practice mode is the most notable addition. Rather than having to play thorugh every song from the start to finish, practice mode breaks the song into its various parts (chorus, verse, solo) and allows the player to skip directly to that section. There is also a new 2 player cooperative mode, where two players with guitars (letÃƒÆ’Ã‚Â¢ÃƒÂ¢”Å¡Ã‚Â¬ÃƒÂ¢”Å¾Ã‚Â¢s say you bought both Guitar Hero 1 and 2 with guitar, I bet youÃƒÆ’Ã‚Â¢ÃƒÂ¢”Å¡Ã‚Â¬ÃƒÂ¢”Å¾Ã‚Â¢re not alone) can both contribute to the same song rather than competing, with one player playing a bass part. 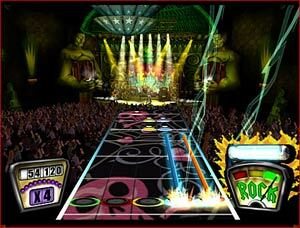 The graphical look was never the primary focus in Guitar Hero, and the sequel continues with a similar look. The main game is simply a board coming at the player with a variety of 5 colored note spots that need to be played on the guitar. The entire experience animates well and there is never a time that the game slows down and becomes out of synch with the music. The background of the gameboard shows the live show, with the band and arena, with the crowd moving along appropriate to how well the player is doing in the song. The guitar players are an interesting group, with various levels of piercings, tattoos and hair color. ItÃƒÆ’Ã‚Â¢ÃƒÂ¢”Å¡Ã‚Â¬ÃƒÂ¢”Å¾Ã‚Â¢s hard to spend much time debating the graphics of Guitar Hero 2 because they become so transparent to the gaming experience. On-lookers waiting for their own turn have been pleased with the graphics shown, and some of the cool concert effects done at the live shows, especially at the later arenas. There is a debate as to which group of songs is better between Guitar Hero 1 and 2. For me, the songs I like best are all in Guitar Hero 2, including Shout at the Devil (Motley Crue) and Cherry Pie (Warrant). However, the covers in Guitar Hero 2 seem somehow less authentic, despite the few real songs they did manage to acquire (including JaneÃƒÆ’Ã‚Â¢ÃƒÂ¢”Å¡Ã‚Â¬ÃƒÂ¢”Å¾Ã‚Â¢s Addiction, which does even more to show how bad some of the covers are. The worst cover might have to be TrippinÃƒÆ’Ã‚Â¢ÃƒÂ¢”Å¡Ã‚Â¬ÃƒÂ¢”Å¾Ã‚Â¢ on a Hole by Stone Temple Pilots, as the cover band singer sounds almost nothing like Scott Weiland. The Axl impersonator on Sweet Child o Mine tries hard, but doesnÃƒÆ’Ã‚Â¢ÃƒÂ¢”Å¡Ã‚Â¬ÃƒÂ¢”Å¾Ã‚Â¢t come through sounding much like Guns N Roses. And the Ozzy on War Pigs is also not very good. Besides the songs themselves, Guitar Hero 2 does a nice job of adding to the mix with more effects. The sound of wrong notes ÃƒÆ’Ã‚Â¢ÃƒÂ¢”Å¡Ã‚Â¬” that startling wrong piano note sound ÃƒÆ’Ã‚Â¢ÃƒÂ¢”Å¡Ã‚Â¬” provides a harsh contradiction of the actual song, making missing notes not only bad for the score but an ear-sore. There is nothing worse than having a +4 multiplier and hitting a bad note. Not only does it end the streak but it takes the song out of melody. 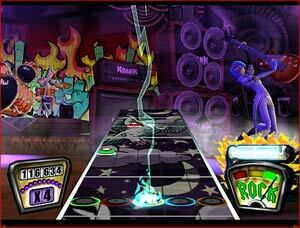 Guitar Hero is the closest a video game has come to mimicking the experience of playing a real instrument. The game is comprised of songs that have been broken into a 5 note stretch along a scrolling board. Using the guitar controller, players must hit the button on the guitarÃƒÆ’Ã‚Â¢ÃƒÂ¢”Å¡Ã‚Â¬ÃƒÂ¢”Å¾Ã‚Â¢s neck in synch with the note appearing at the bottom of the gameboard, along with a strum of the white bar on the controller which mimics the strings. Moving both hands independently to hit both the colored notes and proper beats on the strings is where the challenge lies in Guitar Hero 2. As the fifth button is added and more complexity is added to the songs, the game becomes harder and harder. Each song is measured with a ROCK meter that spans from red to green. When the song is going well, the Rock meter is on green, and the crowd is loud and supportive. As notes are missed, the meter falls to yellow and eventually to Red, and the crowd grows more and more restless. In the latter half of red, the crowd boos, and if more notes are missed, the player is actually booed off the stage. Points are gained by hitting notes correctly, with points for each note hit going up exponentially as they become part of a note streak. Long note streaks fill up the star power meter and increase points with multipliers for every 10 notes until 40. In addition to the core notes, the player can use the whammy bar to increase points on long notes, and hit the star power button to make all the notes blue, but give double the score and move the Rock Meter into the green. 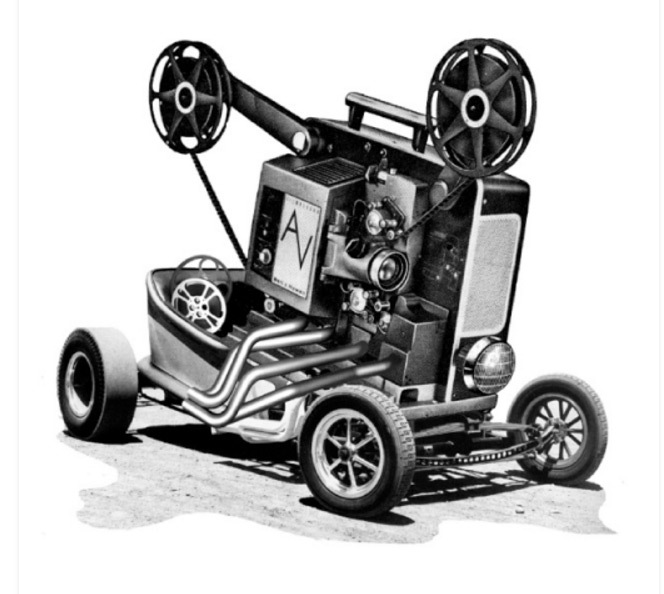 This comes in handy after a rough stretch where the meter could have dipped lower into Yellow or Red. 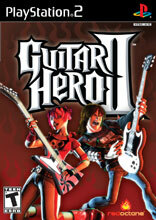 Guitar Hero 2 plays very similar to the first game. The expert modes feature some crazy fast parts that are faster and more dense than those in Guitar Hero 1. The expert modes add three button chords to the mix for Guitar Hero 2, and those pose a considerable challenge mixed in with other notes. But for the most part, the games are very similar, and players familiar with the first will feel at home with the second. The game comes packed with a red guitar this time around, which was a nice gesture by the game publishers to reward fans who already had a black guitar. 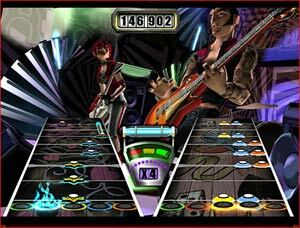 Side by side, the two guitars can be played in a two player mode. 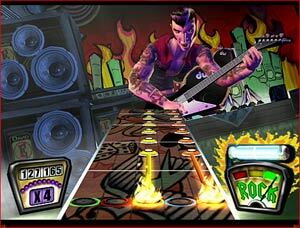 Players can either choose to compete on the same song, which alternates notes of the main guitar part between two players and has a meter to determine the winner, or a cooperative mode, new to Guitar Hero 2. In the cooperative mode, the second player has the bass or rhythm section, acting as an accompaniment to the lead guitar part. ItÃƒÆ’Ã‚Â¢ÃƒÂ¢”Å¡Ã‚Â¬ÃƒÂ¢”Å¾Ã‚Â¢s amazing how close the game guitar play feels to real guitar play. Obviously there are a multitude of differences, but at advanced levels, the skill and precision needed to hit all the notes and chords requires an intense level of coordination between both hands, and a rock-solid ability to keep a beat. Amazingly there are never times when the game feels like it has cheated the player, or that hitting the note on the guitar didnÃƒÆ’Ã‚Â¢ÃƒÂ¢”Å¡Ã‚Â¬ÃƒÂ¢”Å¾Ã‚Â¢t register with the game. It is this level of precise control that made the first game work so well, and its carried over into part 2 with flying colors. 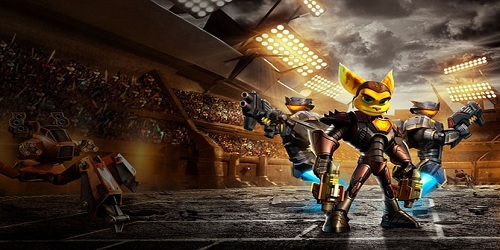 With four difficulty levels, the single player game takes a good amount of gameplay to complete. ItÃƒÆ’Ã‚Â¢ÃƒÂ¢”Å¡Ã‚Â¬ÃƒÂ¢”Å¾Ã‚Â¢s unlikely the player can start with five colors at once on all the new songs, so at least the normal and expert are likely to be played. With so many songs, there are bound to be at least a couple that are are favorites and will be played repeatedly to a vaulted 100% perfection. In cases where there is a very difficult stretch late in a song, the Practice mode actually comes in very handy and helps avoid frustration. Skipping directly to the offending section and not having to go through the whole song is a nice upgrade. The 2 player mode also adds a new layer of replayability, with both a competitive and cooperative mode. There is a ton to play over and over again in Guitar Hero 2. Guitar Hero 1 had a very well balanced scale of songs that got harder and harder as the game progressed. The difficulty at the various tiers in Guitar Hero 2 is a bit more inconsistent, with some fairly difficult songs seen early on and some less complicated songs saved for close to the ending. That said, there is still a fair amount of balance in Guitar Hero 2. the difficulty of the Easy mode allows anyone to get in on the action without the harder blue button and advanced orange button. There is also a nice balance in the spectrum of rock music offered, ranging from modern rock to classic rock, with a nice dose of hair metal that was missing from the original. When Guitar Hero came out last week, it brought rhythm based games to the mainstream with its easy to play guitar controller and unique style. Guitar Hero 2 brings pretty much the same thing with the sequel, but the developers have done a good job of providing some original new modes or options. The 2 player cooperative mode, with accompanying bass parts, is a nice new addition, as is the Practice Mode. Fans of the first game will find the Guitar Hero 2 to be a worthy extension of the first, if not overly original comparively. However, in a marketplace filled with FPS and racing games in the dozens, a guitar-based rhythm game still stands out as original. The single player game in Guitar Hero is addictive by itself, instilling the ÃƒÆ’Ã‚Â¢ÃƒÂ¢”Å¡Ã‚Â¬Ãƒâ€¹Ã…â€œpractice until its perfectÃƒÆ’Ã‚Â¢ÃƒÂ¢”Å¡Ã‚Â¬ÃƒÂ¢”Å¾Ã‚Â¢ mentality of real musicians to the game version of guitar playing. There is always something to improve in each song, because Guitar Hero 2 provides detailed stats for each part of each song. The 2 player mode is also quite addictive, especially in a group of people with competitive gamers looking to dominate the others. The appeal of Guitar Hero 2 reaches past the normal diehard video game fan and reaches some casual gamers. Girls are especially intrigued by the game and the controller, making Guitar Hero 2 a rare game that can be played in the presence of non-gamer girls without much complaint. That alone makes the gameÃƒÆ’Ã‚Â¢ÃƒÂ¢”Å¡Ã‚Â¬ÃƒÂ¢”Å¾Ã‚Â¢s appeal through the roof. Guitar Hero 2 is in a tough position. Following up an unexpected hit can be very tough, just ask the developers of Katamari Damacy. However, the developers toed the line well between retaining the best of the first game and adding depth with new modes and some new complexity. While Guitar Hero 2 is a great game, it doesnÃƒÆ’Ã‚Â¢ÃƒÂ¢”Å¡Ã‚Â¬ÃƒÂ¢”Å¾Ã‚Â¢t have the same impact this time around. The first game seemed to come out of no where, and the hype surrounding the second has been large. The packaging is well done, including a full case with the guitar package. 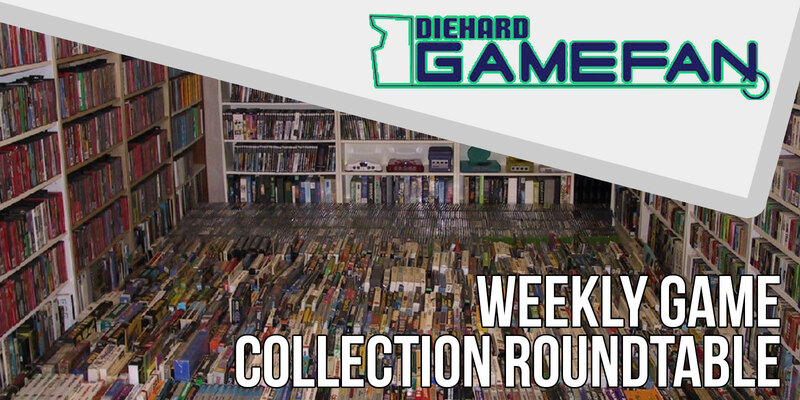 Its always curious when a game is packed in an non-traditional way and becomes an abhorrent part of the collection of system games. Guitar Hero 2 is almost everything fans of the original could have wanted in a sequel. 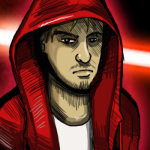 It sports more songs, more variety and some new modes of gameplay. The 2 player mode in particular with the dueling parts brings a new layer to the game. 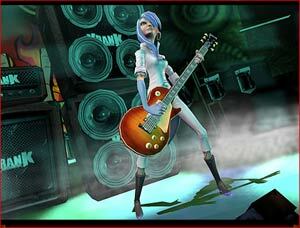 Imagine future expansions could also include a drum part creating a virtual rock band in the form of a video game. For now, Guitar Hero 2 more than suffices and satisfies both fans of the original and new players who might not have rocked out the first time around.